Today I'm taking a step outside the garden to revisit the gifts we gave to the Snickerdoodle's teachers from Pre-K. I wanted to do something special and personal so I looked to the gifts they had him make for us for Mother's and Father's Day. We both absolutely loved our posters and have them framed in our bedroom now. I thought they were so wonderful and personal that I wanted to return the favor. I had the Snickerdoodle draw a picture for each of his two teachers then I asked him a number of questions. I scanned in the pictures he drew and used picmonkey.com to add the answers to the questions all around the scanned drawings. 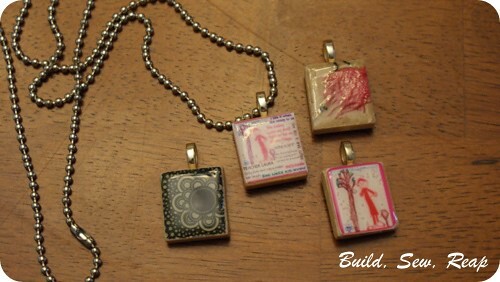 Finally, I saved off the new file and printed the images really small and made them into Scrabble tile pendants. I also created pendants out of just mini versions of his drawings and then included two for each teacher out of my stash of pendants I made awhile back. Worried that they wouldn't be able to read the tiny words on the Scrabble tile, I used the same image I created with picmonkey.com to make cards using the Walgreens online photo/card creator tool. They were printed out at Walgreens and I picked them up the next day. 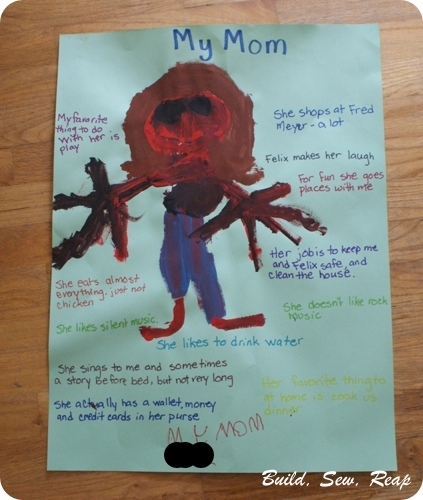 His teachers both loved the gifts and I felt confident that they were one-of-a-kind, just like his teachers. 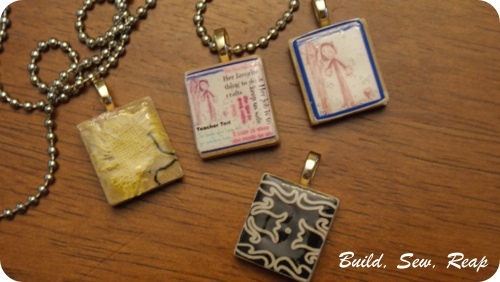 Love what you have done with the simple scrabble tile necklace. 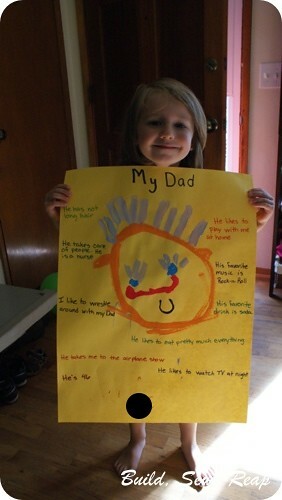 Such a cute idea to put your child's artwork on it!